I can’t count how many strange looks I received whenever I told people I was going to study abroad in Finland. “Why Finland?” they would ask. My family especially, would imply my craziness when telling me about how cold it was here in the wintertime. I am not denying that it is cold here, (right now it isn’t bad though!) but what is so bad about that? Right now it is 25 degrees Fahrenheit (I have to make the Fahrenheit clear for my Celsius friends). It is going to get colder, I know, but I think this temperature is pretty much perfect for a winter wonderland. It is cold enough for it to snow and the snow isn’t melting and neither is the ice. This is so that you aren’t stepping in puddles of slush (gross). Every December in the states, I “dream of a white Christmas”. I only remember getting it once in my life. I love snow. It is so beautiful. I remember seeing the view out my bedroom window the first morning I was here and thinking, “am I really here? Is this real?”. 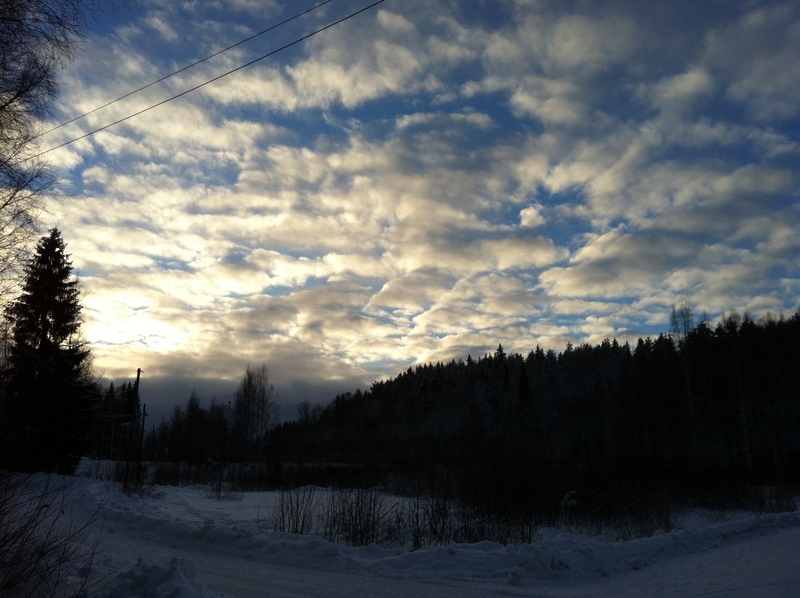 The nature of Finland is the most beautiful I have ever seen. That is one reason why I chose this country to study in. The pictures I gazed at baffled my mind. God’s creation is so evident here. The landscapes are so beautiful and picturesque. My photos by no means capture what I see in full form. 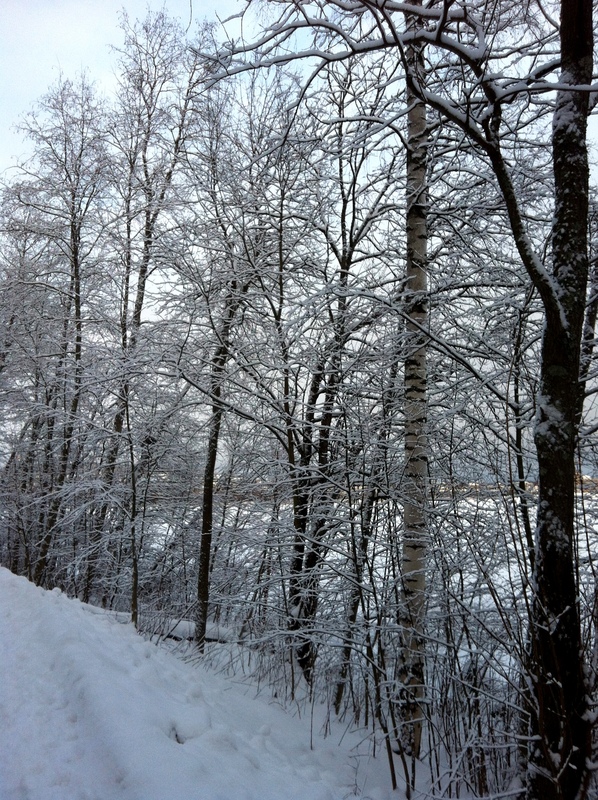 The lines of snow covered trees along the path to the bridge. Not only is the scenery gorgeous, but it is also peaceful. The silence is steady in almost every place here. 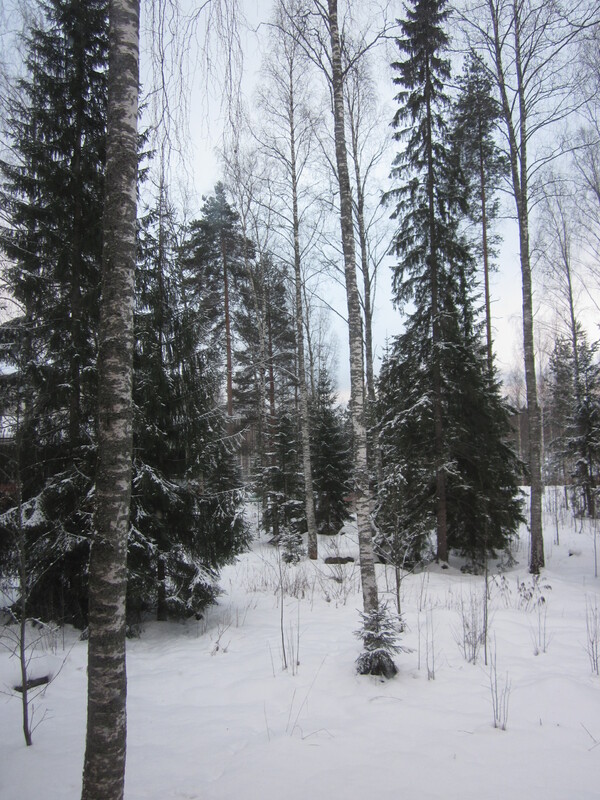 Finns are comfortable with silence, just like the nature around them. It is so incredible peaceful to just walk by yourself anywhere. It is the perfect place to contemplate or just to enjoy what you see around you. This is the sky soon before the sun was about to set. I can’t help but think of Narnia at least 5 times a day when I am here. I want to read The Lion the Witch and the Wardrobe again while I am sitting outside in nature. I swear it looks just like Narnia right after the four Pevensie children first went through the wardrobe. If you look at my photos you will agree. 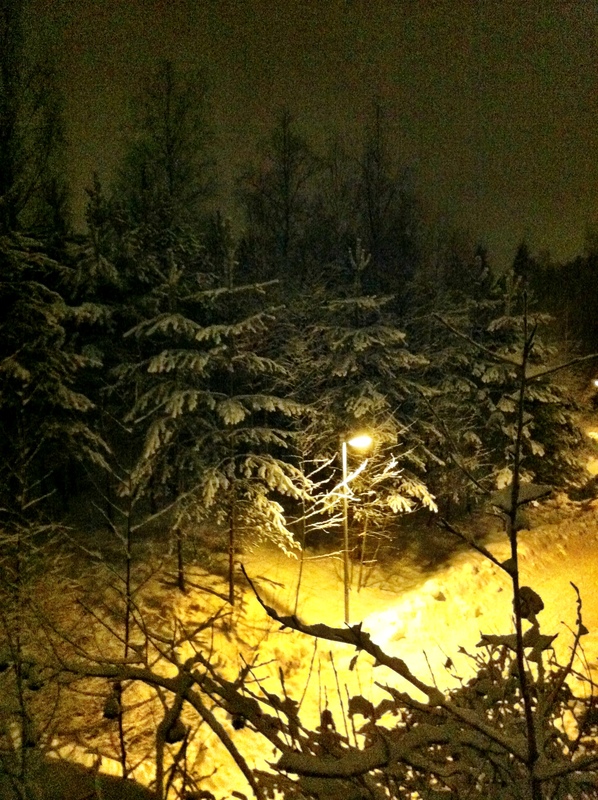 It looks like Narnia, right? This photo even has the lamp post. I apologize if all of my pictures that I have taken are just of the scenery and the landscape here, but I can’t seem to unglue my eyes from this beauty. Every picture I take I am unsatisfied with. They cannot do the real thing justice. If you are someone who loves nature, come to Finland. Just the travelings of a girl who wants to change the word.